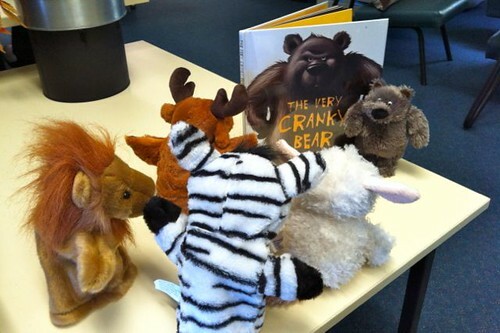 Courtesy of Paul Macdonald, of the Children’s Book Shop, Beecroft, here is Paul’s summary of the Short List for the CBCA Book Week of 2018. We had a great response for our professional development day on Thursday 22nd June. Thank you all! Many thanks to Paul Macdonald for this PowerPoint slideshow of his presentation on the CBCA “Book of the Year” Short List for 2017. PMBW members are granted permission to use this material with your staff and students. Click on the hyperlink to download. Many thanks also to Leanne Steed, Bradley Cook and Glyn Jones for this PDF of their presentation about PDPs and goal-setting for teacher librarians. Click on the hyperlink to download. An email was sent out to all members on Wednesday about the online evaluation for the day on GoogleForms. It can still be filled in via Google Classroom from your DoE Portal, or there is also an alternative, direct hyperlink. Please contact Ian at Ian.McLean7@det.nsw.edu.au if you require the direct link again. 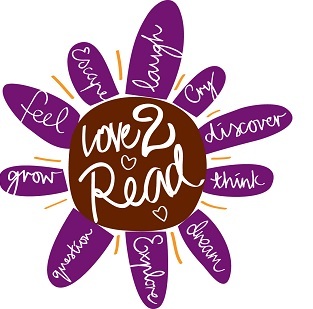 We are hoping to have a secondary TL volunteer their school library as a venue for our Term 4 full-day PD day. If your Principal is agreeable to this, please do let the committee know ASAP. The committee will be meeting in early Term 3 to decide on the venue and agenda. On behalf of the Committee, I would like to thank the 35 teacher librarians who braved the inclement weather to attend our very successful and informative afternoon tea regarding our Performance and Development Plans (PDPs) with Bradley Cooper. Thanks to Bradley, and also our TL host, Terrie O’Hearn. Many of those who attended thought it would be a great idea to share our PDP goals with each other. Lorraine Baxter has invited all PMBW members (via email) to share their goals (either 2016 or 2015) by emailing Lorraine so that she can collate them and then pass them on to our network members. Please feel free to add any explanatory notes to assist. Only those who share will receive this compiled document. We assure you that NO identifying features will be included. If you wish to participate please reply to Lorraine’s email no later than Friday 31st March. Bradley Cooper and his colleague, Leanne Steed, (Teacher Quality Advisors, Nirimba) have been invited to extend our learning about PDPs at our Term 2 meeting. 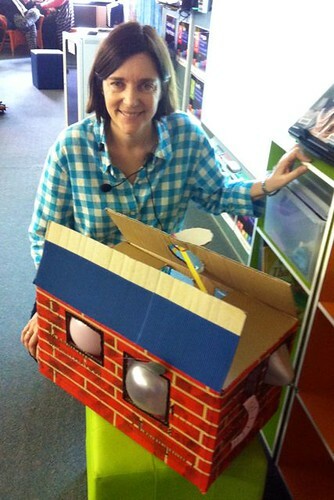 And a big thank you to Lorraine! PMBW is conducting its first Teacher Librarian Professional Learning Day in Term 1. (B) Professional Networking-Group Discussion – with peers. The Penrith, Mt Druitt, Blacktown and Windsor Teacher Librarian Professional Learning Group is hosting an exciting professional development day on Wednesday, 3rd September (Week 8) at Riverstone Public School. Please see the below agenda, which provides full details of the day. Online registration through MyPL@DET is now available. The course title is PMBW Teacher Librarian Professional Learning Day Term 3 2014 and the course code is NR06461 (Note: 0 is zero). The event ID is 86099 if you have trouble locating the course using the course number. Attention: Lee Arundel, c/- Blacktown South Pubic School, 183 Flushcombe Road, Blacktown 2148. Please make the $40 cheque payable to Blacktown South Pubic School. There is no GST involved in this registration payment. The Committee hopes you will be able to join us for this exciting professional learning day! UPDATE: Three of the presenters’ slideshows are available for download HERE! 8.15 am: Registration & Coffee. 9.00 am: Welcome by Principal & Housekeeping. 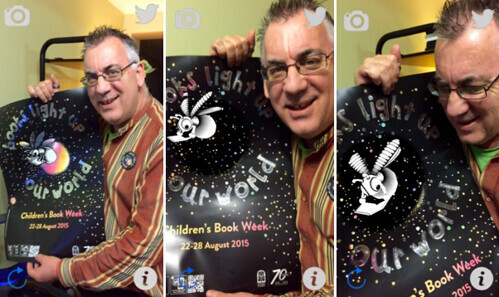 9.10am: Review of the Shortlisted CBCA titles and What’s Hot: Paul Macdonald (The Children’s Bookshop). 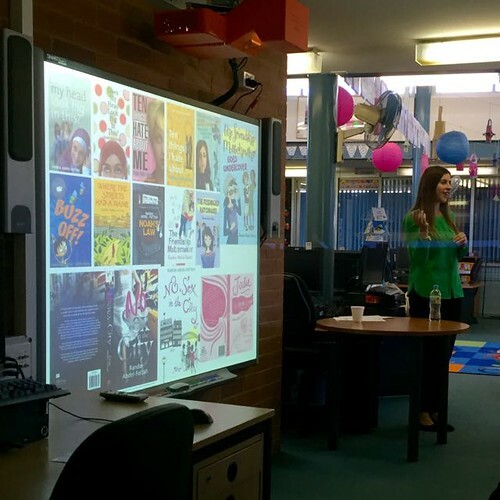 10.15am: Bringing authors and Illustrators into your classroom: the value of using Connected Classrooms: Cathie Cattermole (Teacher Librarian James Erskine PS). 11.15am: MORNING TEA and Sponsors’ Displays. 12.00 noon: From Guinea Pigs to Spoonerisms: Author Ursula Dubosarsky. 1.00pm: LUNCH and Sponsors’ Displays. 2.00pm: Unpacking the Teaching Standards for Teacher Librarians: Nerina Pretlove (Deputy Principal Chifley College, President Professional Teachers Council NSW). 3.00 – 3.30pm: Concluding Evaluation / Lucky Door Prize Draw. 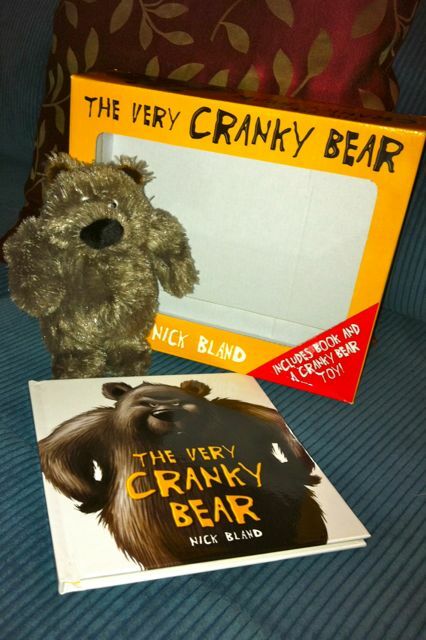 Don’t forget that the picture book “The very cranky bear” by Nick Bland is today’s annual ALIA National Simultaneous Storytime title!